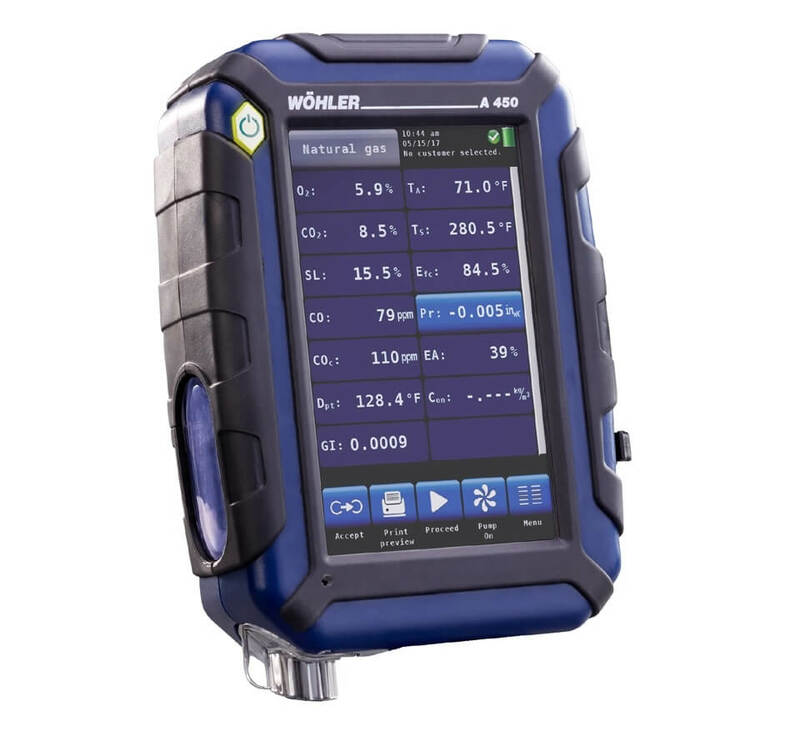 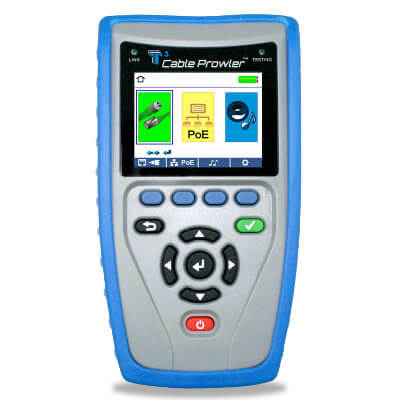 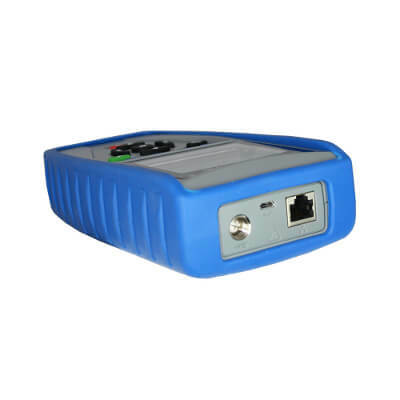 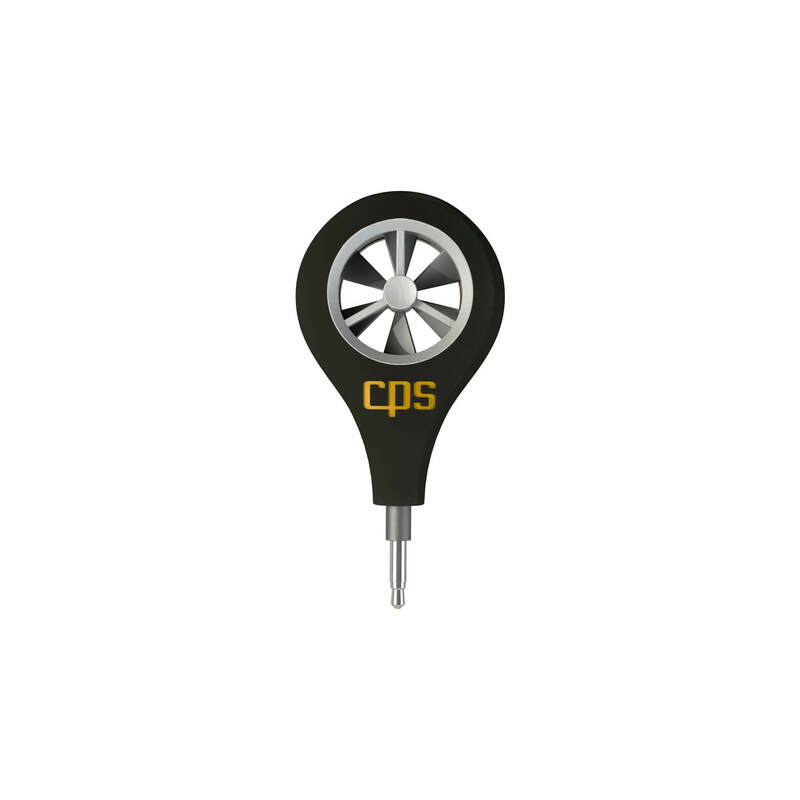 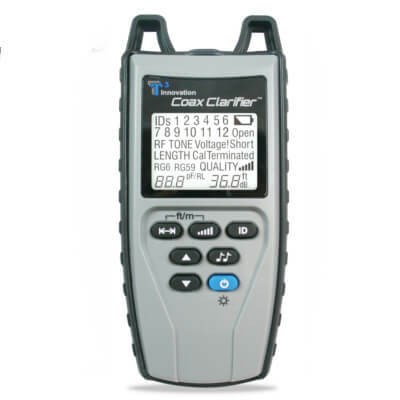 Platinum Tools TCB400 Cable Prowler TDR Network Cable Tester and Verifier can test link status and capability, as wells as PoE detection, along with all the functions of an advanced cable tester including TDR length measurement. 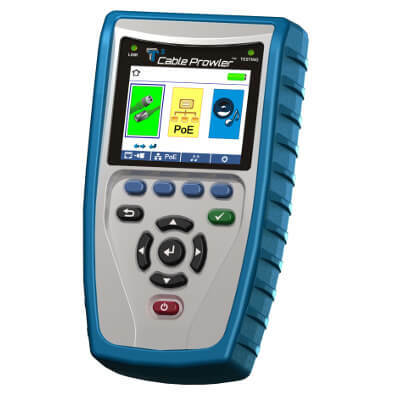 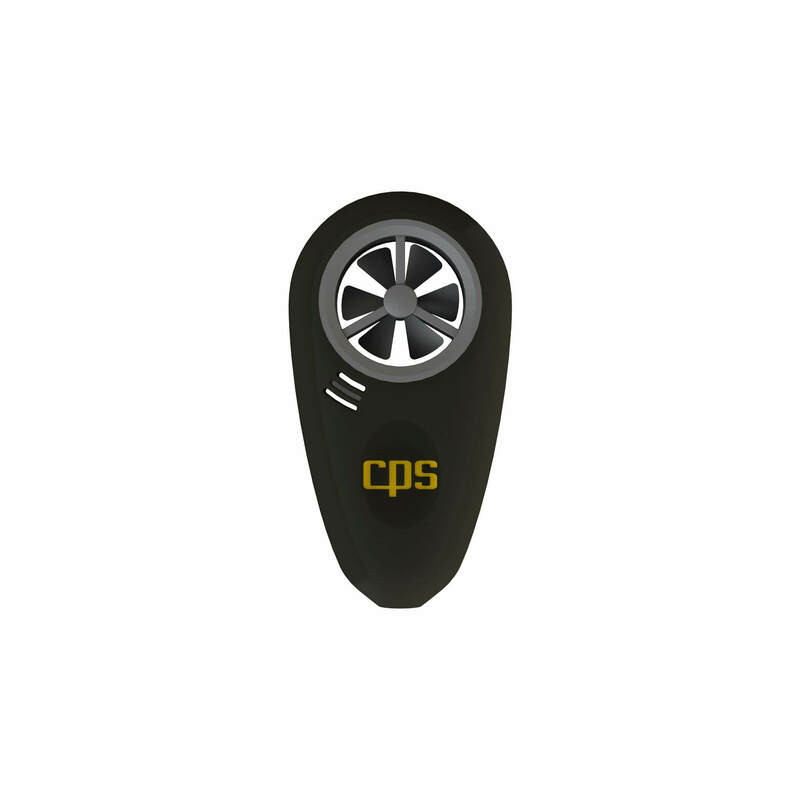 The Platinum Tools TCB400 has a built-in tone generator, can save and export data, and has a high-res full color graphic display screen. 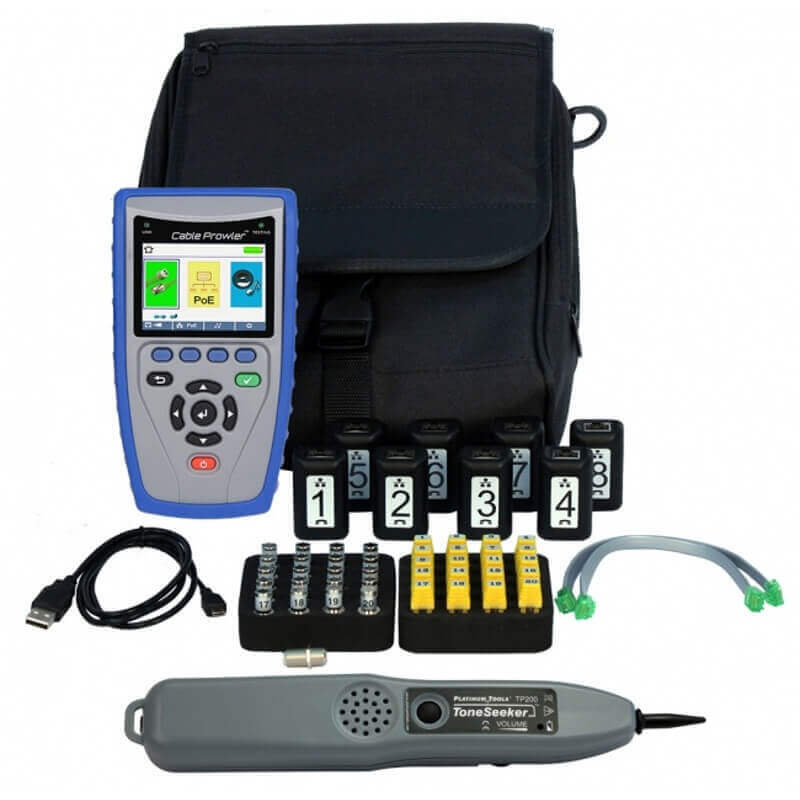 Includes: Main unit, cable testers smarter remotes #1-8, ID only coax remotes #1-20, ID only network remotes #1-20, ToneSeeker Tone tracer probe, F Connector tor coupler F81 (2), Micro USB cable, and Alkaline AA batteries. 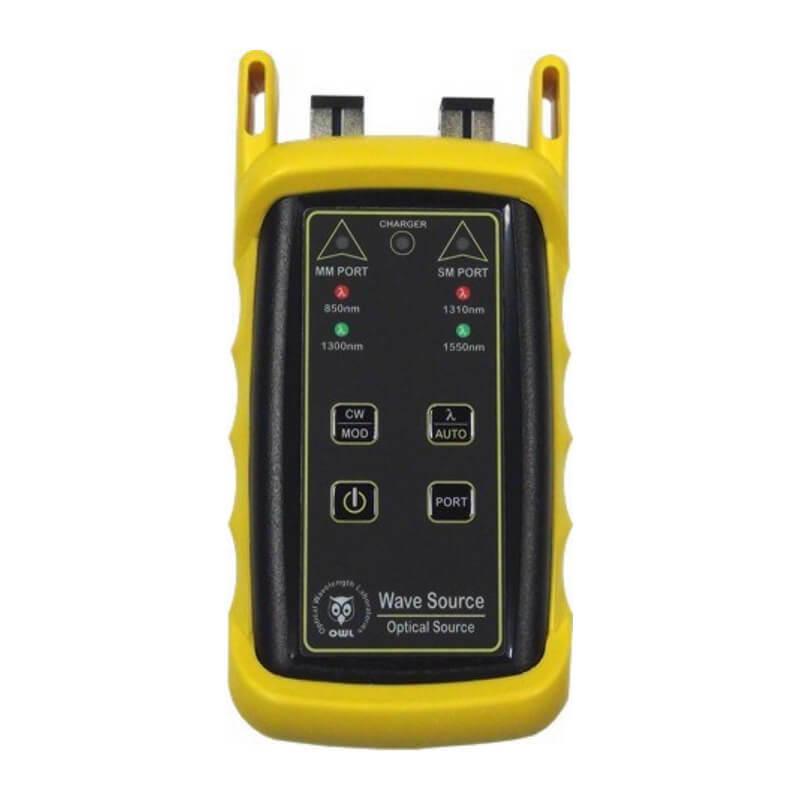 to any 2 connector pins without causing damage to the tester.